Sigrun Gudjonsdottir is one heck of a woman. She’s the type of woman who turned down the role as CEO of Nissan Sweden, to follow love to Switzerland. Once there, after a lot of soul searching, she figured out how to leverage 10 years of Corporate CEO experience for several major companies, an MBA in Entrepreneurship, and a whole lot of passion, into an incredible online business mentoring women. In no less than four years, with absolute transparency, she built her business up from five figures in her first year, by offering 1-1 coaching. Less than four years later, she scaled her business model to hit seven figures in revenue with group masterminds, retreats and her signature (and legendary) program SOMBA. She knew there needed to be a better training out there for women entrepreneurs, so she created it and boldly named it Sigrun’s Online MBA. 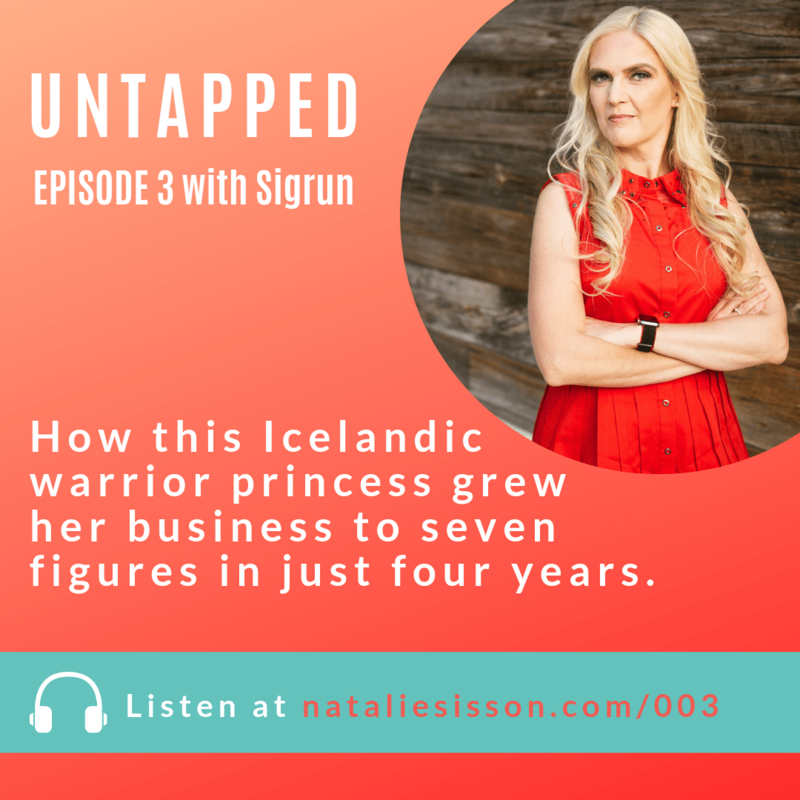 What’s more, this Icelandic powerhouse gets amazing results for her clients through her laser sharp coaching instincts, straight up advice and genuine love for seeing women entrepreneurs succeed. Connect with Sigrun on Facebook and Instagram. Loved what you’ve heard and want more Sigrun? Check out her amazing program SOMBA – Sigrun’s Online MBA. Enrollment is open for a short time now here.